Glad you like them. God bless! Very beautiful! The collection of quotes I would like to have had on Father’s Day 🙂 Thank you for visiting my blogs…your likes and follow led me to your blog – what a blessing! Your post is inspiring to me today. So refreshing to see someone shining a light on the importance of fathers. Thank you. and Thanks for the follow! Welcome. I encourage you to participate in the flash fiction contest we are currently running. See you around the blogosphere! You are so generous with your praise. It has made my day. Thank you so much. And God bless! Thanks! Glad to connect with you here. Happy blogging and God bless! I am father of my children; I am father of other people’s chidren; I am father of my grandchildren’s and other grandchildren’s fathers; and I didn’t know that I am so blessed! Yes, they quote even words that I shouldn’t have said! 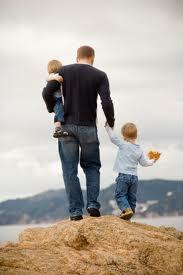 Thanks for the great joy you bring to fathers, mothers (who usually make good fathers) and their chidren. Thanks for following my blog. I love all of the quotes you posted for Father’s Day. Your story is inspiring and I look forward to your future blogs. thank you for reading my blog. On father’s day quotes, I found them very inspiring. Glad to be connected here. The Father’s Day quotes generated much more enthusiasm than I expected. Keep in touch and God bless!